The MGB is the successor to the MGA (1955–1962) about which Clausager wrote a similar book in this series. More than 500,000 of this all-time best-selling British sports car were built over an 18-year span. If you want to make yours as original as the factory intended, you need this book. It is probably these large production numbers and the commensurately large survival numbers that are the reason this book has been reprinted already six times since its original release in 1994. His BMIHT background and connections are of course crucial prerequisites for writing a book that seeks to be a definitive authenticity guide. This was Clausager’s fourth book in this series—and the hardest yet. He writes: “Since my publisher and editor won’t allow me to describe this book as ‘the worst I have ever written’, I have to settle for describing it as ‘the most difficult I have ever had to write.’” The reason for this lies again in the large production numbers, which, in turn, means there are vast amounts of raw data in the factory archives. Worse, according to people who worked on the design of the MGB, the 70-odd volumes of “Modification Notes” that were kept by the engineering department specify what should have happened in terms of production changes, not what actually did happen in the real world. No reason to doubt Clausager when he says that he is probably the first person to have dug through these mountains of paper. 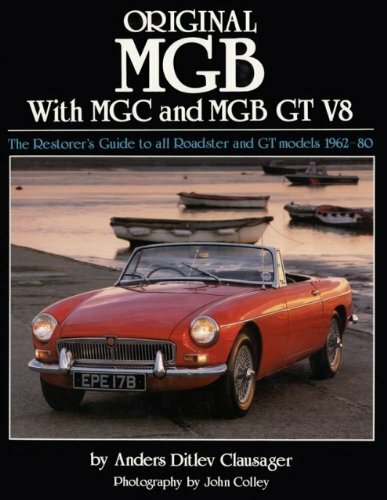 The book follows the same basic approach as all the others in the series: brief overview of the model’s origins and development (here with additional remarks about the MG’s possible revival), in-depth descriptions and photographs of components and assemblies, trim, options, and accessories along with comprehensive production numbers, buying guide, and paint colors and codes. 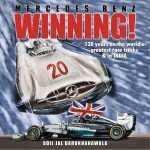 In addition, this book addresses tuning issues, competition equipment, and something called CKD production. This stands for “Completely Knocked Down” and refers to cars that were shipped (for tariff reasons mainly) as unassembled kits to Australia, Belgium, and Eire. In a departure from the norm, a number of the cars photographed for this book were in the US, and even the UK-resident cars include foreign-market versions. (Even so, North American owners will probably grumble that the focus is disproportionately on Euro-spec cars.) John Colley’s principal photography is augmented by a large number of others from various sources. Given the purpose of the book, the majority of the photos are extreme close-ups of unglamorous but essential parts. The person who would have a need for this sort of book is likely already familiar with the—extensive!—MGB literature. The most exotic of the models covered here is surely the Berlinetta version by Belgian coachbuilder Jacques Coune who erected 56 such bodies of which only eight are thought to be extant today. Even though a lot of expert eyes are on these books as they are being written Clausager is the first to allow for the fact that no matter the amount of work that goes into the research and vetting, some detail could still be ambiguous, unsettled, or all-out incorrect. He encourages feedback—if you find something dubious, and can back it up, don’t whine about it but contact him via the publisher!